A visit to Nicaea in Bithynia. Today my friend Leon and I made a 10 hour trip from Istanbul to Iznik, Turkey. Iznik is the name of ancient Nicaea (Nicea) in Bithynia. This is a region of Asia Minor into which Paul was not allowed by the Spirit to travel. Instead, he was directed to go down to Troas where he received the call to come over into Macedonia. 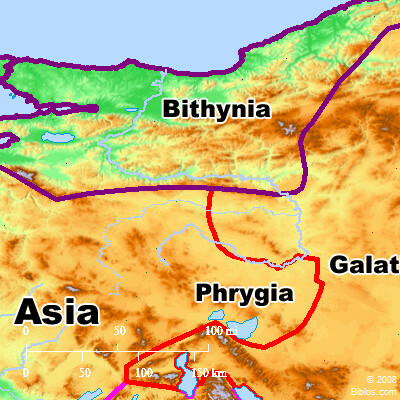 Bithynia is across from Istanbul on the south side of the Sea of Marmara. It is a beautiful mountainous region with valleys filled with olive trees and fruit orchards. The Epistles of Peter are addressed to saints living in Bithynia, but no specific towns are mentioned (1 Peter 1:1; 2 Peter 3:1). The Roman province of Bithynia. BibleAtlas.org. The modern town of Iznik utilizes the layout of ancient Nicaea. Nicaea was the site of the first and seventh of the ecumenical councils held between 325 and 787 A.D. Hopefully I will be able to write more about these councils and their importance in the history of Christianity at a later time. 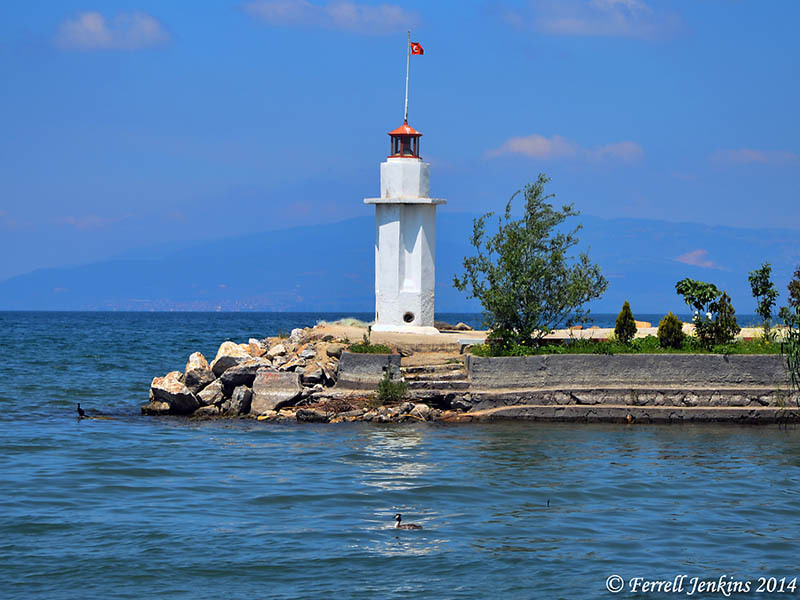 For today I wanted to share a photo I made of a little lighthouse in the fresh water Lake Iznik. Lighthouse in Lake Iznik. Photo by Ferrell Jenkins.